The Dallas Stars went out and acquired Mats Zuccarello at the deadline in order to give them some extra secondary scoring, but lost him almost immediately to a broken arm. While he should be back in time to contribute during the playoffs (should Dallas get there), the former New York Rangers forward isn’t using the time off to negotiate his next contract. In fact, Stars GM Jim Nill told Matthew DeFranks of Dallas Morning News that the team will wait until the season is over to discuss any contract extension with Zuccarello. Nill of course has more to consider than just salary structure and cap hit when it comes to Zuccarello’s next contract. If the Stars decide to re-sign the diminutive forward, they would sacrifice a 2020 first-round pick instead of the third-round selection they sent to the Rangers as part of the package to acquire him at the deadline. Without seeing his impact on the team over a longer term it’s hard to say whether that would be worth it. 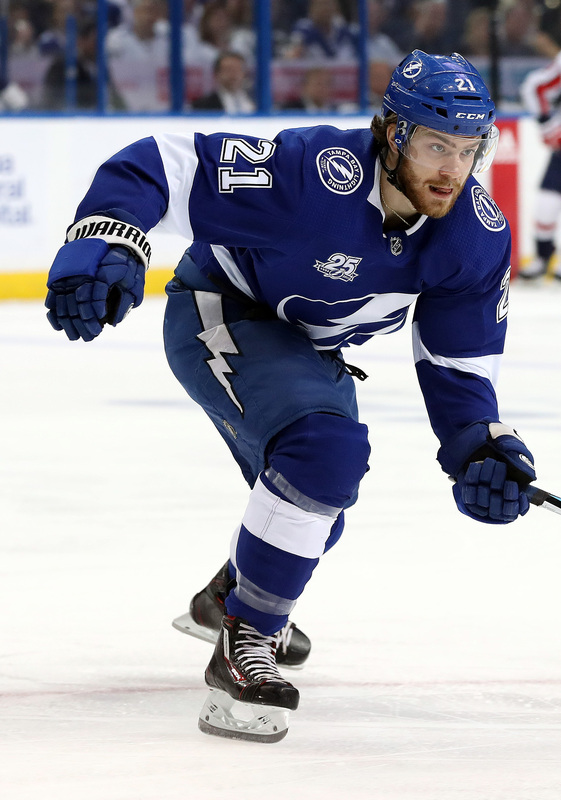 In Tampa Bay they are facing a similar situation with young star Brayden Point. Unlike Zuccarello who is set for unrestricted free agency, Point is still controlled as a restricted free agent but will be looking for a huge contract after proving himself to be such an important piece of the Lightning puzzle this season. To that end, Point—who turned 23 today—has told Lightning GM Julien BriseBois that he doesn’t want to negotiate until the end of the year, according to Pierre LeBrun of The Athletic (subscription required). That affords Point another chance to prove he is worth as much as any of his RFA contemporaries, especially if he helps lead the Lightning to a Stanley Cup this season. In 68 games this season the Tampa Bay forward has amassed 83 points while being one of the most consistent defensive players in the entire league. He leads the Lightning in goals with 37 and would have a case for team MVP if it weren’t for the existence of Nikita Kucherov. A third-round pick in 2014, Point has consistently improved every year and looks like he will be a superstar for a long time in the NHL. It will be interesting to see if he wants to be paid like it right away, or is willing to take a bridge deal like Kucherov did in 2016.